Managed to shuftie round my day off so I could de-stress a bit on the allotment today. Nothing beats being outside, messing about with plants and with the sun on my back, though an Aperol spritz or 3 comes close on occasion. The Timperley Early I bought for plot #92 is my 6th rhubarb in 3 years. I don’t have a huge amount of luck with it, though on getting to the plot I did see that the Hawk’s Champagne is looking alive and stirring, which is both unexpected and great. I thought it was dead. 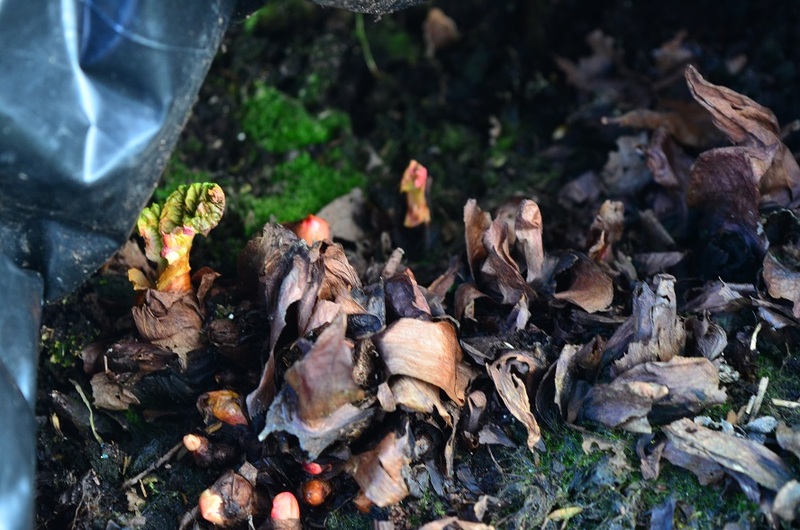 The Rhubarb Curse might just be lifted! I had a couple of hours at the plot in the end, cutting stakes for the broad beans and lifting the snoozing plants skywards off the mud. And I spent a fair amount of time sticking mistletoe seeds from the lovely Diane (Mrs Bee) onto as many things as might take them. 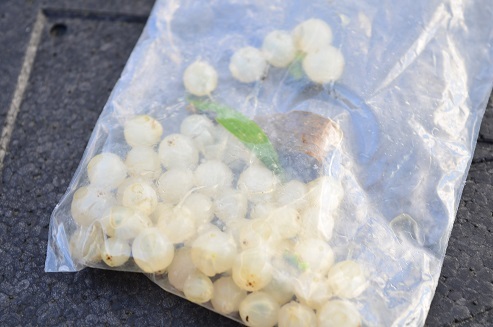 My shed berries were a bit mummified and she really kindly sent me a huge envelope of fresh berries from her own plants. I was warned the berries were sticky, but I don’t think I was expecting quite that amount of gunk inside! It was a bit like the potted slime my brother used to mess about with as a kid. Because I don’t expect many of them to take there are now some seeds on my baby apple, and lots are on the blackthorn hedge. 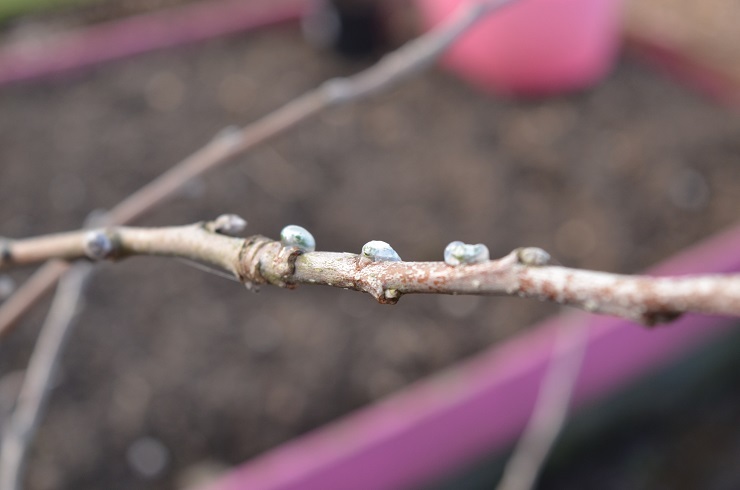 The RHS website says blackthorn is a potential host..so watch this space – I have marked some of the branches I smeared the berries on, others have been left as a surprise. Lionel has some too, for the hedge bordering his plot. It’s an aaaaawfully long wait till the first harvest, the plants are only big enough to cut in their 4th year. Sowed some onion seeds at home and watched the sunset from Allotment Corner in the kitchen. Love that the days are getting longer. Spring is on its way in!